With the online portal you have direct insight and control over your operation. Command Center Overbridge eat your heart out. The most efficient route with real time insight? 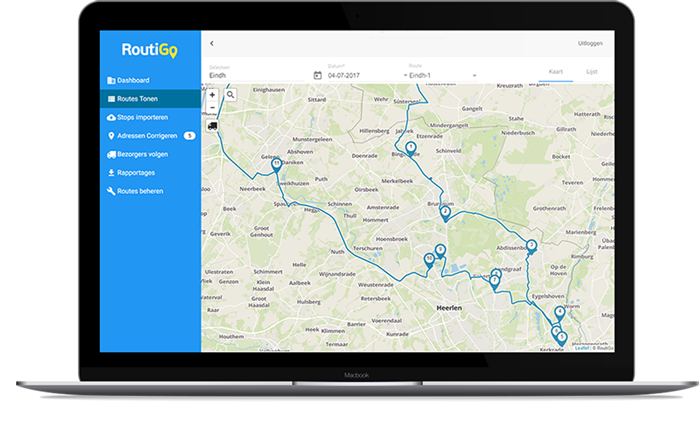 RoutiGo offers you a clear dashboard on which you can see all drivers and routes. The platform calculates the most efficient stop sequence. An ETA indicates the time of delivery and you can easily add pickups and extra stops. This way you maintain continuous insight into your delivery operation with the flexibility to make adjustments if necessary. Every day is different as soon as the sun rises (or stays away). That is why it is important that you can adjust your operation on the day itself at all times. To tackle this we take the Outside-In approach. How do you know how well you are doing? The portal offers a clear dashboard with a number of standard KPIs. Via the export options and APIs you can create advanced reports yourself in your favorite analytical tools. The RoutiGo app offers the best user experience to the driver. That is important to guarantee the quality of your service. With the standard registration module we offer you the possibility to register what you want and in which order. Record whatever you want; numbers, scanning barcodes, signatures, photos. You can view the registrations in the portal realtime. This helps your service desk to be proactive in stead of reactive. 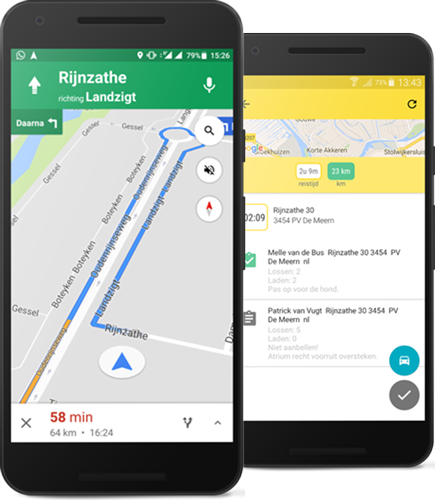 Whether you want to use Google maps or your TomTom RoutiGo gives your navigation the right instructions. There are many tastes, but of course it also depends strongly on whether you drive a 3-ton truck, an electric van or whether you keep a cargo bike in balance. How do you know how you are doing? The portal offers a clear dashboard with a number of standard KPIs. Via the export options and APIs you can create advanced reports yourself in your favorite environment. It is important to make your customer happy. The expectations are high. After all, if you order a pizza then you also see real-time where your delivery person is. We send in app or text messages to the recipient. From that moment he can follow the delivery person live. That is the delivery of today and tomorrow. How do you and your delivery crew perform according to the recipient? Super good of course! Yet it is good to see who your top players are. These are the people with whom we can make the delivery one step better and more fun. A good user experience is very important to us. Given the great diversity of people who use our product that is a major challenge, but one that we are happy to accept! Our goal: Ultimate ease of use without any training. Routigo is built upon a micro-service architecture that ensures that we are extremely scalable both vertically and horizontally. That way we can also easily handle large peaks in use. We understand that security is important and we take it very seriously. We only store data that we need, ensuring that only people who really need access can access the data. In addition, we work with well-separated network segments, and access is always arranged with a combination of both certificates and passwords. 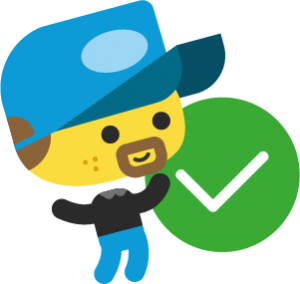 Routigo offers JSON-based restful APIs and Webhooks to make sure you can easily connect to your other systems. Curious about how we can improve your organization?